With the new rural construction and the development of the city, many people with lofty ideals are bullish on the concrete batching plant industry, with the large and small production mixing concrete engineering are also more up. How to build a concrete mixing plant, with minimal investment, received the highest efficiency, to produce the best quality of concrete? 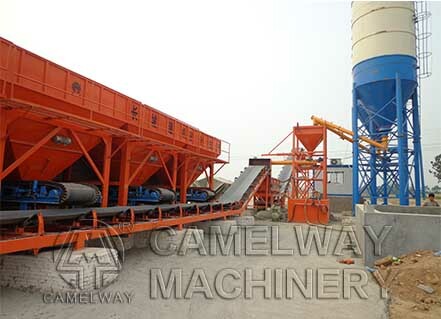 Above all, want to choose high quality concrete mixing plant equipment. High-quality equipment maintenance personnel not only can greatly help to solve the problems in time, can also improve the reliability of the system, stability, prolong the life of related parts, to enhance the overall usability of the equipment. Second, in the process of production to strengthen the management of equipment, completes the daily/weekly/monthly maintenance system, prompt operation personnel in strict accordance with the system implementation, find fault handling in time, in a smoldering. Finally, users should improve equipment recycling and reusing resources consciousness, to strengthen the maintenance of renewable equipment, replaced the parts have a lot of maintenance can be reuse, such as used in wastewater treatment, can also be used to clean cement transportation vehicles and so on ways to save resources.